The 3,210 square foot U.S. Customs facility at Witham Field will be the first intermodal clearance facility of its kind in Florida, processing international travelers arriving in Martin County by air and sea. Visitors to and from Stuart will no longer have to travel to Fort Pierce or West Palm Beach for their customs clearance. In honor of the customs facility’s opening, Stuart Jet Center is offering its customers 10x (20) AVTRIP Points per gallon from February 11 through the end of April when clearing customs. The facility is the second development project benefiting guests to Stuart Jet Center. Recently, the FBO opened two new hangars, each measuring 25,000 square feet and able to accommodate aircraft up to a G-650 and Global Express. The project included an additional 11,000 square feet of adjoining, class-A, hangar-accessible office and shop space for tenant convenience and lease. With these additions, Stuart Jet Center now boasts an accommodating, 53-acre facility with more than 20 acres of lighted, secure ramp space; 340,000 square feet of hangar space; and a convenient location, just 1.3 miles north of the PBI presidential TFR zone for easy flying to West Palm Beach when President Trump’s in town. 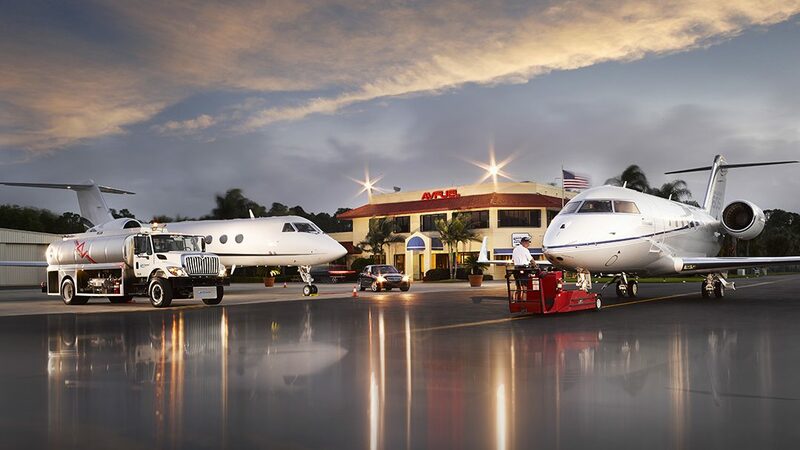 Flight operators also enjoy full ground handling services, charter and maintenance, avionics sales and services, pilot supplies, gourmet catering, concierge services, courtesy cars and shuttles, and the availability of Avfuel Contract Fuel and AVTRIP rewards as an Avfuel-branded FBO. Stuart Jet Center’s (KSUA) professional and courteous staff is trained in offering the highest quality of service to satisfy its customers. Located on Witham Field, Stuart Jet Center’s 53-acre facility devotes more than 20 acres of land to lighted and secure ramp space, along with 340,000 square feet of available hangar space able to accommodate up to a Gulfstream 650 class aircraft.